Description of "The Poet & His Valentine"
Ananya Chatterjee is a software professional presently working for a multinational software product development company. Composing verses is her passion. Last year (2013) she had worked with renowned artist Soumitra Chatterjee on translating some of his Bengali verses into English, as part of the coffee table book Forms Within. She is currently working on the English translation of the distinguished painter Jogen Chowdhury’s verses. The Poet And His Valentine is her first poetry title. 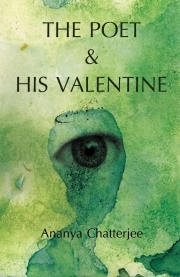 Reviews of "The Poet & His Valentine"